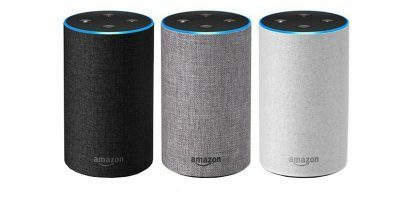 Amazon’s Echo, Dot, and Tap offer “skills” for the virtual assistant Alexa. Skills are a lot like apps and allow the device to do things it wouldn’t otherwise be able to do right out of the box. For example, Alexa can search movie times and ticket pricing with Fandango or read your car’s fuel level with Automatic. That being said, in this article we cover the top ten skills across a wide variety of categories that most users will get a use out of – including connected car devices, mindfullness, traffic updates, kitchen, and more. 7-Minute Workout is just that – a seven minute workout to help you increase metabolism, improve your energy, lower day-to-day stress, and remove excess fat. Whether you work out in the morning or just before your evening shower, 7-Minute Workout is sure to help you improve your health. How? Just say, “Alexa, start seven minute workout,” and make a daily commitment. The best part is it’s all based on simple, guided routines. Just follow along and push yourself. If you own an Automatic adapter for your vehicle, you can see where you parked last, your driving history, and your gas level (if your vehicle reports fuel level via the OBD, and about 50% of cars do). Again, just enable the skill, and ask Alexa to get started. Inspire Me plays excerpts from speeches by famous people. This includes Steve Jobs, Will Smith, Michael Jordan, JK Rowling, and plenty of others. You can ask Alexa to “inspire me,” ask for a new speaker, or even ask for a specific speaker. It’s all bite-sized messages – usually only three minutes long. Thrive offers an eight-minute meditation session, designed to play before bed. This session will help you rest easy and wake up refreshed. Just tell Alexa “Open Thrive” to get started. One downside, though, is that there is only one session that is currently available. It’s for all the important questions life has to offer. “Alexa, ask Magic 8-Ball if I am going to be rich.” Seriously, just ask. One of my personal favorites, Ambient Noise: Thunderstorm Sounds, is a great way to get to sleep quickly. 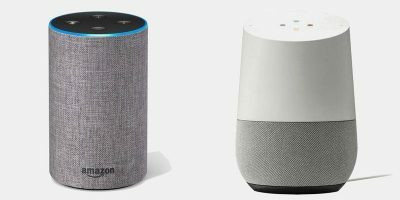 Either with your Echo or your Dot connected to external speakers, the sounds offered are certainly realistic. The storm sounds are moderate and not enough to wake you when drifting to sleep. You can search in the Alexa app for more sound skills, including rain and ocean sounds. Focus Word provides the user with a word and a corresponding phrase. It’s designed as something to focus on over the course of the day and also meant to implement it into your life in some way. Each day, ask Alexa, and she’ll provide a new word. My Chef keeps track of expiring goods in your fridge and keeps track of inventory. You can even add expiring items to your shopping list. For those that like to cook, My Chef is a must have. If you bank with Captial One, you’ll be able to check account balances as well as make payments. You can even see how much you’re spending at specific stores and restaurants. Just summon Alexa and ask, “How much did I spend at Target last month?” or “How much did I spend at Starbucks yesterday?” Ready to pay the bills? Just say, “Alexa ask Capital One to pay my credit card bill.” It’s the 21st century way to bank. Alexa and her skills are constantly evolving, every day. 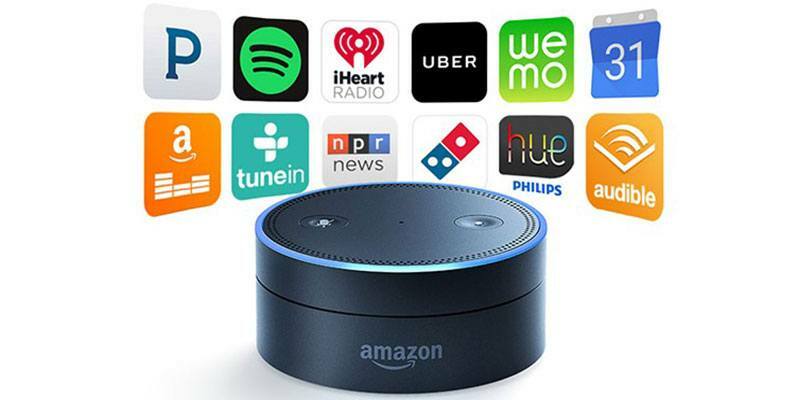 That stated, these featured skills will help you get set up with your new Alexa-enabled device and provide a level of usefulness that you won’t have right out of the box. How does one obtain these “skills” for Alexa or Tap? 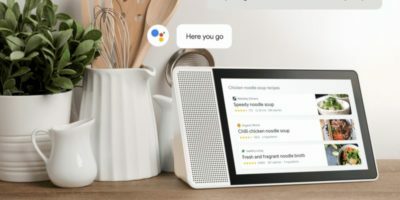 Is there an Amazon “App Store for Alexa”? If I obtain an Alexa or Tap, how do I add these skills? 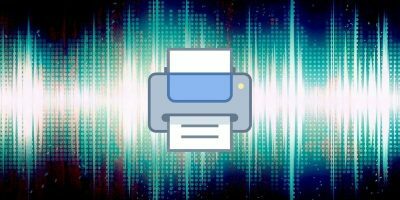 More info is needed in this article for it to be truly useful! 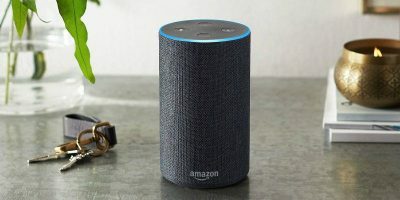 Hi Karl, installing the Alexa app on either an iOS or Android device is required to set up your Alexa enabled device, and steps to do so are described in the quick start guide included with the Echo, Dot, or Tap. From there, you’re able to tap ‘Skills’ from the sidebar menu to browse or search – or even just say “Alexa, enable the skill ______.” Hope this helps. I have owned one of these since Day1. I’ve also constantly been disappointed at the “skills” available – you’ve probably noted the only 10 out of 3,000 that are worth having (and a couple on your list are even marginally useful). You also fail to note the MOST useful skill which shows me you really don’t own one of these, or you just got one as a new toy. The #1 skill is one that ties to your home automation. You turn on and off lights every day, multiple times. Adding the WINK skill and then linking Alexa/Echo/Dot to your WINK account is an ABSOLUTE necessity. My elderly mother can now turn on, turn off, dim lights or brighten them just by calling out from her bed. She can turn off all the lights in the house just by asking. Or turn them all on. The #2 skill is “Ask My Buddy” which can send an emergency text to whoever you want, just by calling out for help using the command phrase. Seriously…. how could not fail to notice these vital skills? Oh, that’s Amazon’s fault entirely as I mentioned the vast majority – 98% – of skills available are completely useless. Sure you can check the transit times in London. Or Seattle. Useless if you don’t live there. And forget about trying to find any skills if you don’t know what you are looking for. They are all presented one by one, and as you scroll through the list you might find one interesting, so you click on it to learn more… then decide it’s useless and go back to your list… but alas now Amazon makes you start from the BEGINNING of the list of available skills. So if you’re wading through 3,000 apps you can see just how frustrating this might be (and how poorly designed the app is from Amazon). The other annoying thing is you have to not only activate your Alexa by using the command word, but you THEN must speak whatever silly command phrase is required to activate the skill. It’s NOT intuitive. And there should be a way to correct this major shortcoming. I cannot remember all the key phrases, so some skills are never even used. With WINK, you don’t have to do anything but say “Alexa, turn off the hallway light” and boom… it’s done. Not something like “Alexa, ask ‘control my lights’ to turn off the hallway light’. Besides, the latter is horrible English. In short, a responsible critic would seek to point out what Amazon needs to improve besides espousing the few things it does well. I decided when writing to avoid listing home automation skills as these are an entire subject matter of their own- there are countless options available, and there can be quite a compatibility issue between varying brands of smart home devices and skills available. 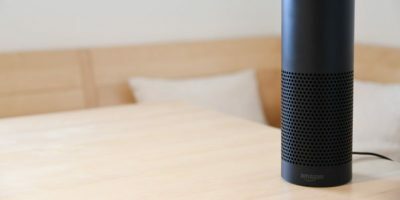 Furthermore, the article was simply a round up of useful skills – not intended to bash Amazon in any way and not intended to be a review over the Echo, Tap, or Dot. That being stated, I do not appreciate the condescending speech of my writing skills based on something that was not the subject matter to begin with. I failed to be critical of Amazon’s shortcomings and strengths regarding Alexa on purpose, as this was not a review. Nonetheless, I do appreciate your feedback. I see your position, but would suggest – since you mentioned subject matter – that the most careful consideration be given to the title/subject of any written publication. The title/subject is what draws the reader in, and fully prepares the reader for the content and theme of the article. 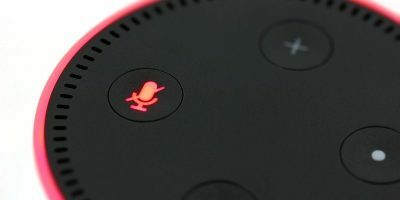 “Top 10 Must-Have Skills for Alexa” is completely different from the title “A Round-Up of Useful Alexa Skills” which would have been a much better title then, if that was the intent of your article. The former is telling the reader to receive the 10 best skills to get, whereas the latter is telling the reader to prepare for a list of skills they might find useful. And it was a review, like it or not. You rated and presented a list of the best 10 skills. Either way, if you are going to be doing your readers any service, you owe it to them to prepare them for the debacle which is the Amazon app and the completely insane organization/development of the app to find/install these skills. If your article is about skills, then part of the article should also inform/explain how one obtains them. Ironically, your very first comment/question was exactly that… someone asked how to get skills… so I’m completely correct in my analysis here of what an article of skills should have and what areas it should address. Otherwise, it’s a completely incomplete article and just another forgetful comment floating around the web. A good writer will seek to improve and set his content apart, as you have millions of competitors already writing all kinds of useless nonsense. If people are going to trust you… you need to learn to be critical and present both sides, pros and cons, of skills and the Alexa platform. A though: The skill list you presented shows you did need to do more research though. To come up with it, how many actual skills did you enable and use before you decided on your top 10? And are your top 10 skills for a person still in school, a recent graduate, a parent, a home owner, or a retired adult? You need to keep these things in mind and clarify/specify your audience. Otherwise, ever different demographic will assume you are writing to them. Since I’m not a 20-something, I view the Alexa differently than you do. Home Automation is the primary purpose and utility of Alexa. I do appreciate your insight and I’ll keep it in mind. Take it easy.